So this was my third international beauty box swap and I was especially excited about this as I have been wanting to partner up with someone from the UK for ever! While looking for a swap partner I actually ended up with three (two from England and one from Scotland) but I wanted quite an array of items so I agreed to all three! This swap is from Cathy who lives in England and is a mom and grandmother. It was her first swap so we had to keep our budget at $50/R490/28 pounds. I went in with a full blown list of what items I wanted but Cathy was a lot more laid back and was mainly into lipglosses, mascaras, eyeliners and something South African inspired while I asked her for a couple of lip products, eye products and other things from Make-Up Academy, Make Up Revolution, Miss Sporty etc. 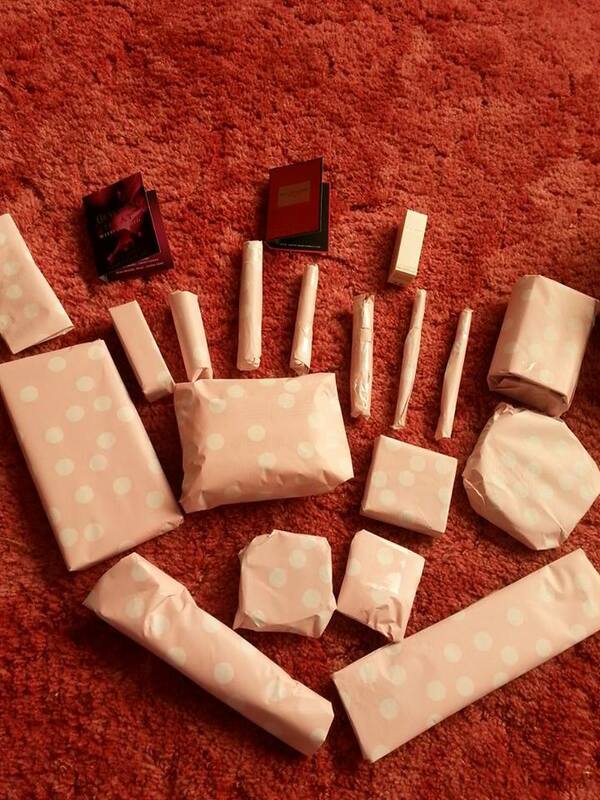 So all in all I think she will be happy with what I have sent her – I am still waiting for her to receive it! – and here is a sneak peek of what she sent me! I have NO idea what items she has sent, only which brands she managed to get. Would you recommend Black Onyx? I haven’t tried any of their products.